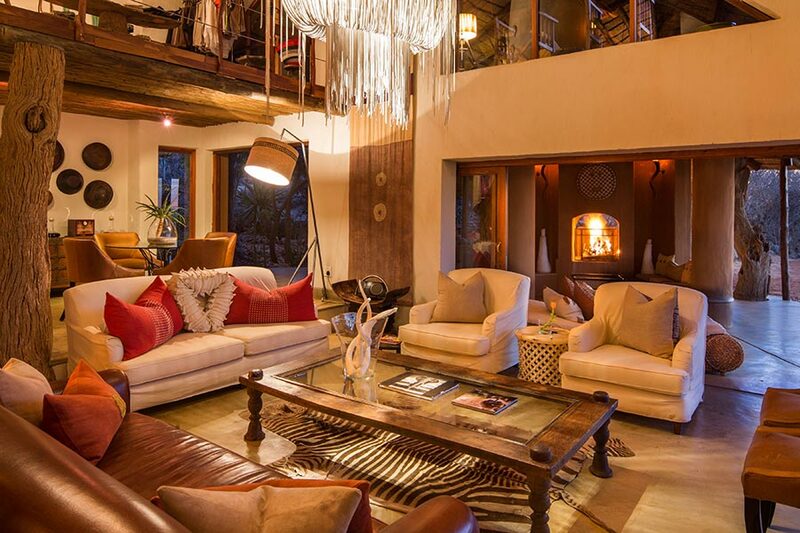 The Royal Madikwe is an intimate luxury safari lodge run by a close-knit, experienced team. Through and uncompromising dedication to service excellence, this Lodge offers nothing short of lavish accommodations, sincere hospitality, and spectacular wildlife encounters. 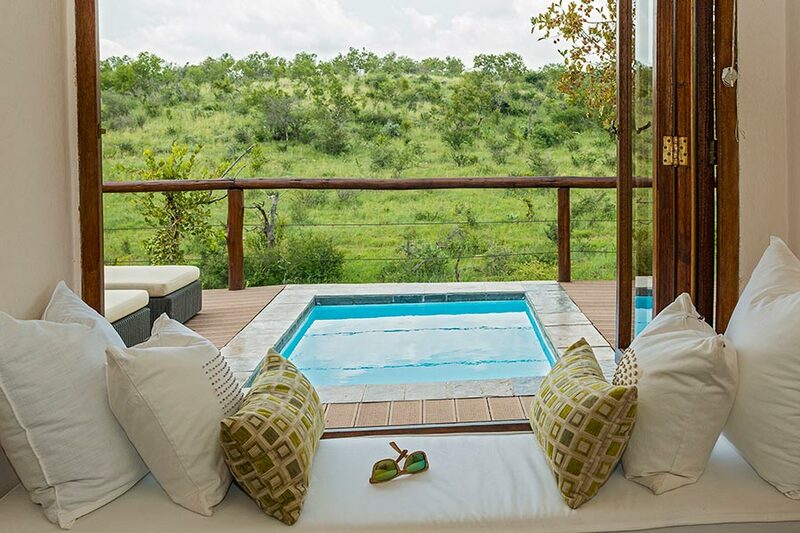 Your journey begins in the heart of the magnificent, and malaria-free, Madikwe Game Reserve. Welcome to a place where time stands still and nature calls at your door. 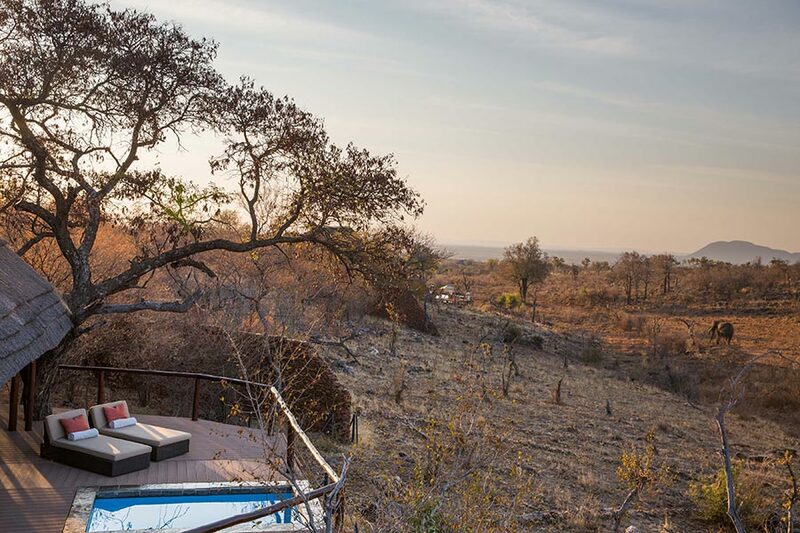 With a passionate commitment to responsible tourism practices, Royal Madikwe’s vision of making a worthwhile difference in luxury eco-tourism is being realized by investing in local community projects, and by preserving the environment. As a guest, you make a difference by simply having a superb holiday. 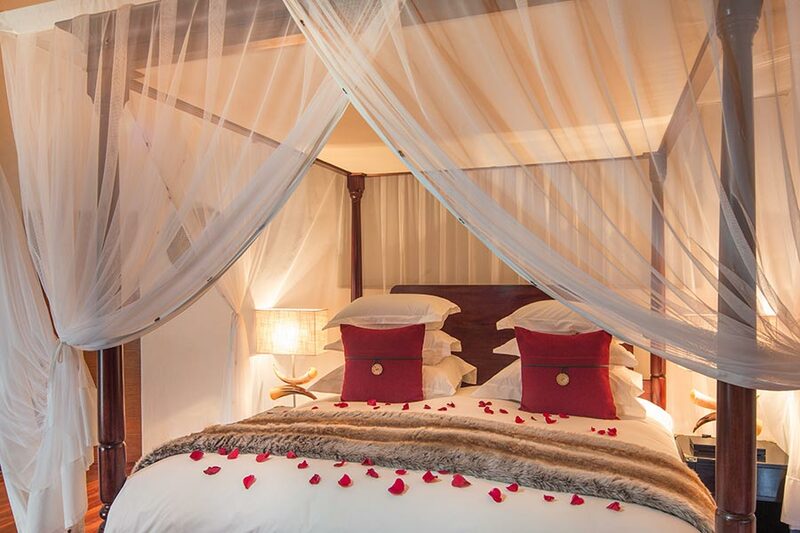 The Royal Madikwe offers exquisite accommodation, up to a maximum of 14 guests, in five beautifully appointed suites. Please enquire about exclusive use of the lodge. 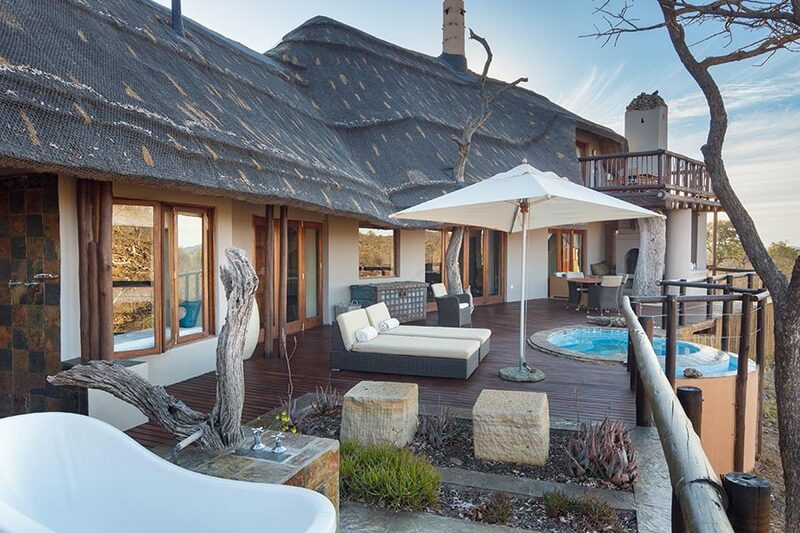 With breathtaking views of the surrounding wilderness and mountains, this freestanding suite offers privacy, tranquility and luxury. 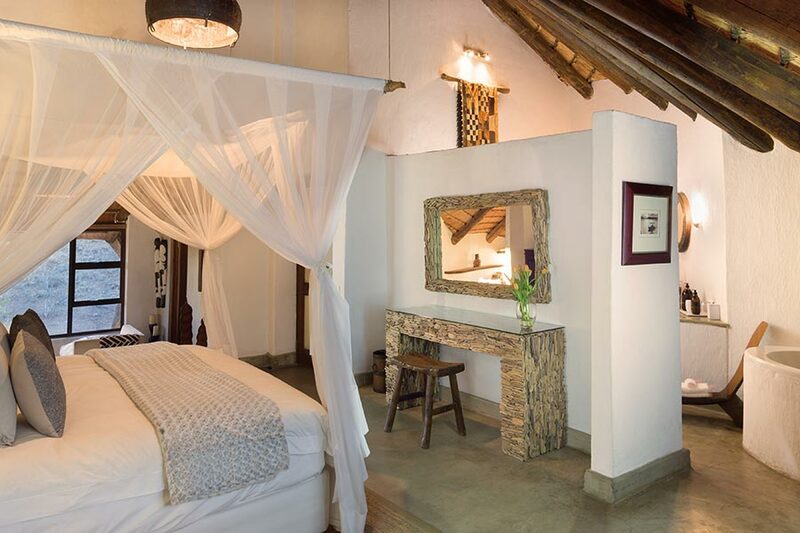 Contemporary style meets African elegance – this suite offers the perfect space to rejuvenate and relax in anticipation of a safari adventure. It can comfortably be converted into a double for couples. This sumptuous and romantic retreat is perfectly suited to couples celebrating their honeymoon, an anniversary or simply in search of a special getaway. Boasting spectacular views from the second level of the Clubhouse, this suite is perfectly suited to couples in search of a lavish suite, a honeymoon retreat, or for families with two younger children. This two bedroom family villa offers exclusivity and privacy; perfectly suited to families with two or three children. The private game drive vehicle offered with the Villa allows families the luxury of enjoying an intimate family safari experience as well as the flexibility sometimes required with younger children. 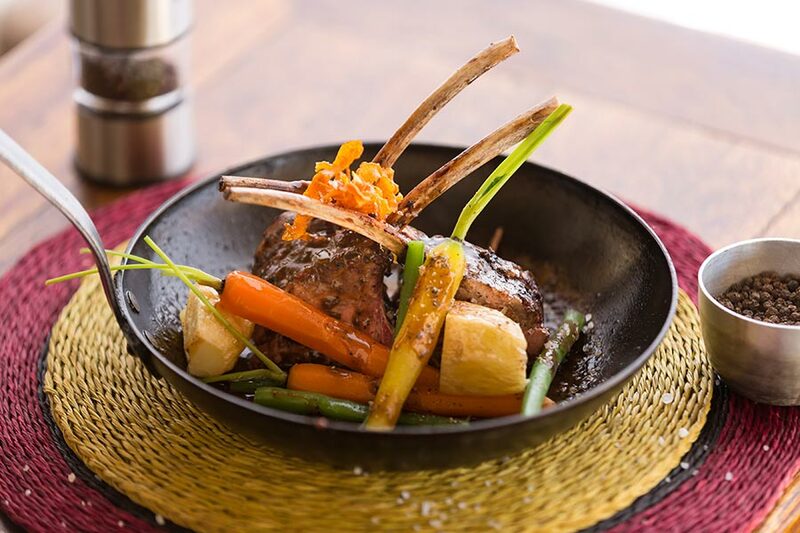 Expect international favourites and local dishes to be expertly prepared by the chefs. Wine and dine in the Clubhouse or on the private deck of your suite. Daily dawn and dusk game drives are recommended to ensure that you get the most out of your safari experience’s. The “Big Five” (elephant, buffalo, rhino, lion and leopard) are all present on Madikwe Game Reserve, as well as many species of birds, antelope and other mammals; including endangered African wild dogs and cheetah. A complimentary fun filled program created just for little ones to keep them entertained and excited about their adventure at Royal Madikwe. T-shirt painting, doughnut decorating, animal tracking, face painting, arts and crafts, African beading, and storytelling, are all part of the endless adventures! 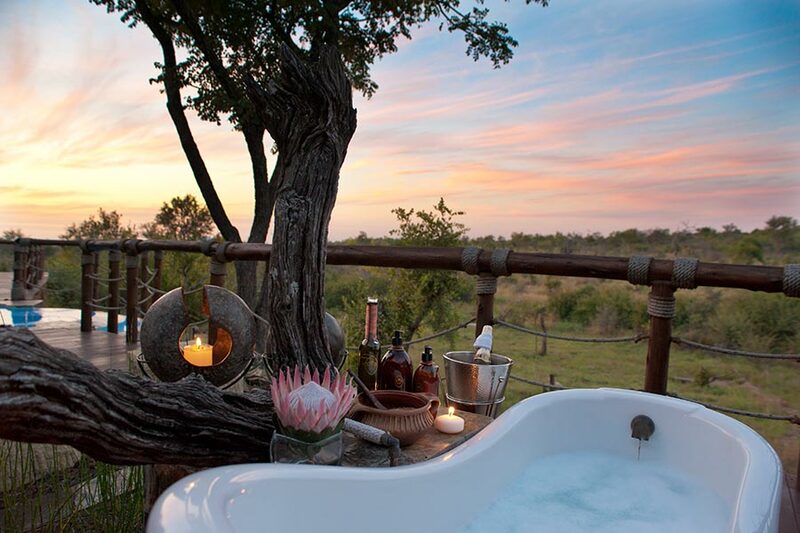 Add even more magic to your time in South Africa. Zulu Dancing – Experience this incredible display of power and passion as you share their journey through a colourful cultural dance. Pre-booking essential. Marimba Band – Relish in the soulful melodies of the Marimba instruments echoing through the valley as you enjoy a champagne breakfast. Pre-booking essential. African Drumming Lesson – Join in this cultural exploration and learn to navigate this beautifully handcrafted instrument. Pre-booking essential. Stargazing – A wonderful story unfolds as you learn about the history and evolutionary formulation of these stellar phenomena. Best viewing from February to late August, but this is available throughout the year. Pre-booking essential. Bush Walks – Follow in the footsteps of the animals for an opportunity to learn more about smaller creatures, as well as the flora that make up this unique wildlife reserve. Pre-booking essential and dependent on availability. Conservation for a Cause – Ask about special projects where you can lend a hand. Massage Treatments – Enjoy a massage treatment in the comfort and privacy of your suite or on the Sundeck. Pre-booking not essential, but welcome. Children under the age of two years stay for free in a cot when sharing with two adults in a Luxury Suite. Creating triple suites in a Luxury Suite, or adding an additional child to a Family Suite will be subject to availability based on occupancy. Children under the age of five years are not permitted on the scheduled game drives. A 1-hour Kiddie’s Bumble can be arranged at the Lodge (dependent on availability at the time of enquiring).